Kentucky has highest child abuse rate in U.S.; Indiana second highest | Norton Children's Louisville, Ky.
Kentucky and Indiana children continue to suffer abuse at alarming rates. TheU.S. 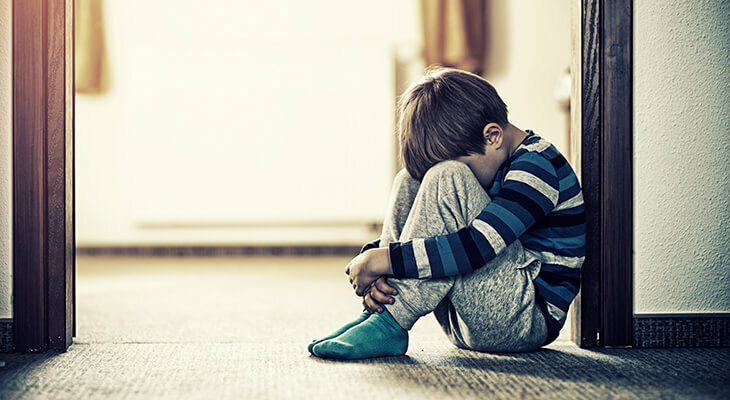 Department of Health & Human Services’ Children’s Bureau “Child Maltreatment 2017”report — released in 2019 — shows Kentucky now has the highest abuse rate in the country. The commonwealth reported more than 22,000 victims (compared with 20,000 in the 2016 report), or about 22 out of every 1,000 children. Indiana has the second-highest rate, with more than 29,000 reported abuse cases (28,400 in the 2016 report), or nearly 19 out of every 1,000 kids. Both rates are double the national average. The good news for Kentucky is child abuse deaths dropped for the third straight year. In 2017, 10 child fatalities were attributed to abuse. Indiana, meanwhile, ranks among the worst in abuse deaths. The Hoosier state reported 78 deaths in 2017, compared with 70 in 2016 and 34 in 2015. Rankings are from 1 (worst) to 52 (best) and include Washington, D.C., and Puerto Rico. If you feel yourself about to lose control with a child, it’s OK to step away. Listen to your favorite song, take a few deep breaths or call a friend. Learn the TEN-4 bruising rule: Children under age 4 should not have bruising on the torso, ears or neck. Infants who are not mobile rarely have any bruises. If you know a parent who may be feeling stressed, offer to babysit so he or she can have a break for an hour or two. If you see someone about to raise a hand to a child, you can help the situation. Even saying something like, “I remember when my child acted like that,” can break the tension and protect the child. More ideas are available at DontHurtChildren.com. In Kentucky, the number to call to report suspected child abuse is (877) KY-SAFE1 (597-2331). In Indiana, call (800) 800-5556. The National Child Abuse Hotline, (800) 4-A-CHILD (422-4453), offers professional crisis counselors who can provide intervention, information and referrals to emergency, social service and support resources. Calls are confidential.